The former head of counter-fraud and loss-prevention at Oxfam has been sentenced to two and a half years in prison after earlier pleading guilty to defrauding the charity of almost £65,000. Edward McKenzie-Green, 34, of Chipping Norton, Oxfordshire, was sentenced at the Old Bailey in London on Tuesday. McKenzie-Green made payments of £64,612.58 from Oxfam to fictitious companies between February and December 2011, City of London Police said in March. 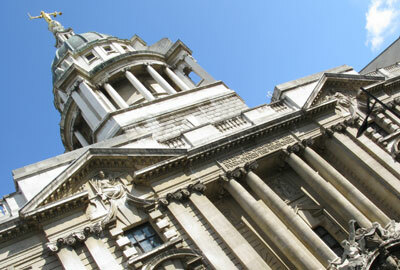 The former fraud manager appeared at the Old Bailey in March where he pleaded guilty to making the fraudulent payments. He had also been accused of stealing a laptop from the charity in December 2011 but the charge was dropped. A charge against his father, Edward Green, 61, of Cumbernauld, Glasgow, who had been accused of helping him launder more than £35,000, was also dropped. Oxfam said it had no further comment to make but, in a previous statement after McKenzie-Green’s guilty plea, it said it would try to recover the money. Oliver May, head of counter-fraud at Oxfam, said in March: "For someone to commit fraud and use that money for their own personal gain is clearly unacceptable. The actions of Edward McKenzie-Green were brought to light by Oxfam’s own robust counter-fraud measures. "We work tirelessly to ensure that money donated to Oxfam is not lost through the actions of rogue employees such as him."